Feeling overwhelmed by labor law posting compliance? Not sure what’s necessary for your business right now? You’re not alone. 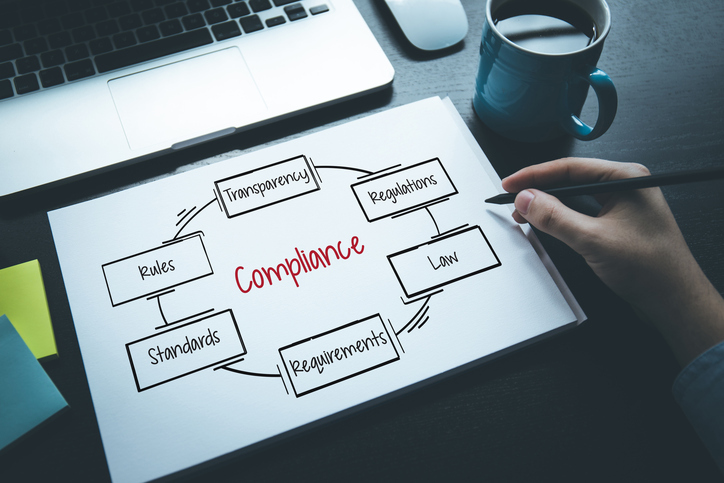 According to the second annual National Small Business Compliance Pulse Survey, sponsored by ComplyRight, fewer than 50% of small business employers are fully confident in their understanding of federal, state and local employment laws and regulations. Further, they consider managing these laws a top concern — more than any single, specific regulatory topic. Due to the uptick in state and local-level legislation (due largely to federal deregulation), employers must manage more changes and updates for labor law posting than ever. 1. Equal Employment Opportunity Commission (EEOC): Covers antidiscrimination provisions and legally protected characteristics. 2. Occupational Safety and Health Administration (OSHA): Highlights important workplace safety measures. 3. Family and Medical Leave Act (FMLA): Explains employee leave eligibility and benefits as well as employer responsibilities (generally, only applies to businesses with 50+ employees). 4. Uniformed Services Employment and Reemployment Rights Act (USERRA): Addresses re-employment rights after military leave, antidiscrimination provisions and issues with health insurance. 5. Fair Labor Standards Act (FLSA): Notifies employees of the federal minimum wage rate, overtime rules and child labor laws. 6. Employee Polygraph Protection Act (EPPA): Describes the rules about lie detector tests in employment (required even if you don’t use lie detectors). Beyond these posting requirements, you may be responsible for up to 15 state-specific postings, totaling 21 federal and state postings per location. Add to that 10 additional local postings and certain industry-specific postings, and you’re looking at a posting situation that is anything but basic. There’s also the consideration of constantly changing posting requirements. In the past 13 months alone, the legal experts at Poster Guard ® Compliance Protection tracked 80 mandatory posting changes for more than 35 states. This regulations and updates are a lot to keep up with, especially when your business has multiple locations. No two states have the same requirements because each state operates its own government agencies and passes its own laws. Arizona and Arkansas … Missouri and Mississippi … New York and New Jersey … they all have completely different posting requirements. Monitoring the latest employment legislation and its impact on mandatory workplace postings is no easy task, especially for small businesses with limited resources. To manage the situation and remain compliant, consider an online tool like the Poster Guard 1 Smart App from HRdirect. It addresses all the posting requirements for your specific location in a single, centralized, streamlined app. You can get more valuable insight and instruction, too, by watching the on demand webinar Poster Compliance Audit: Is Your Business at Risk? for posting compliance that will help you conduct a self-audit of your postings.